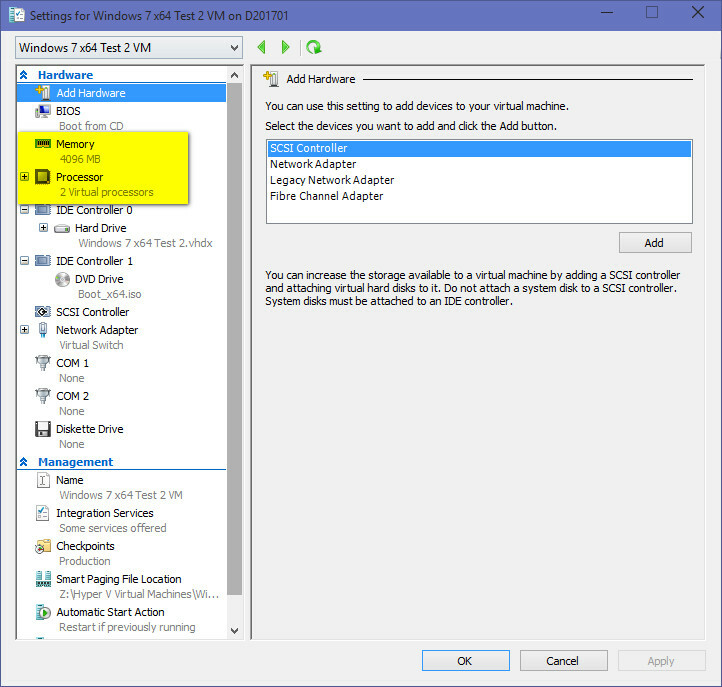 Lets assume that your using MDT 2013, WSUS and HyperV to build and capture your Windows 7 SP1 reference image. 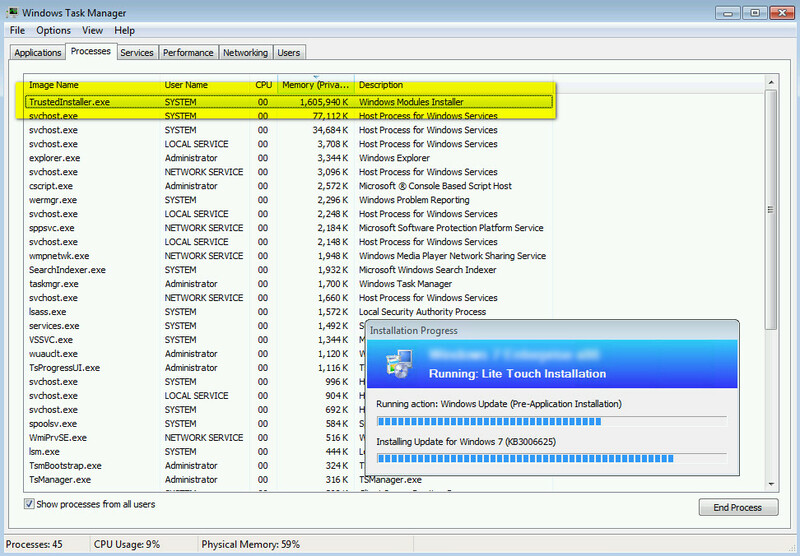 Due to the large number of updates now required for Windows 7 SP1 (Over 200!) you may run into an issue where your VM runs out of memory. Specifically, the problem is caused by the process TrustedInstaller.exe. To avoid this, make sure you allocate at least 4GB of memory. In addition to this its worth adding an additional processor to improve performance. Even with these settings it takes a very long time for the process to complete. Hopefully Microsoft will release a new ISO this year with updates included.